A 47-year-old woman with systemic lupus erythematosus presented with a history of radical hysterectomy and pelvic lymph node dissection for cervical cancer Ia and brachytherapy for vaginal recurrence. 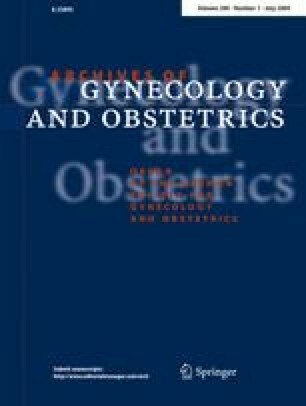 Four years later, abnormal hypermetabolic lesion at vaginal vault on FDG-PET/CT was found and confirmed as vaginal recurrence by punch biopsy. So, she underwent anterior pelvic exenteration with urostomy. She underwent colostomy because of colonic fistula 1 week after anterior pelvic exenteration. She had wound problem near the colostomy site. The wound waxed and waned, however, no definite discharge was identified from wound. Three months later after anterior pelvic exenteration, FDG-PET/CT revealed multiple hypermetabolic lesions along the incision line, colostomy site and abdominopelvic lymph nodes. Biopsies of the skin and lymph nodes with FDG accumulation revealed an inflammatory granulation tissue and reactive lymphadenopathy. Definite symptom such as leakage of stool was not identified. One year later, there was no interval change of multiple hypermetabolic lesions on follow-up FDG-PET/CT. There was still wound problem. So, revision of colostomy was done with impression of subtle fistula between skin and colostomy. Multiple hypermetabolic lesions on FDG-PET/CT disappeared after 3 months of repair of colostomy. We reported a case showing high FDG accumulation at wound and paraaortic lymph node on PET/CT because of intestinocutaneous fistula around colostomy. These malignant mimicking FDG accumulations were disappeared after colostomy reversion.